[T]he pitch bend slides in SLIDE Lap Steel are excellent. The slides here are miles ahead of the usual pitch bend in synths and typical attempts for slides in guitar sample libraries. Lap steel guitars are very flexible and versatile instruments, and make a great addition to a variety of musical styles. As well as easily fitting in folk, country, and pop productions, they also sound great with distortion for rock and blues tunes. 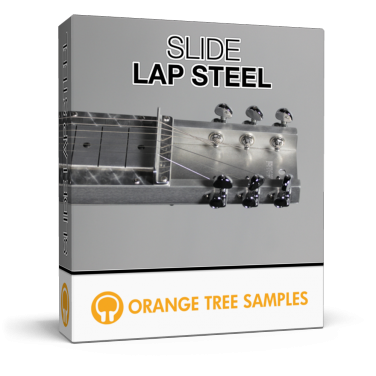 The Orange Tree Samples SLIDE Lap Steel sample library features around 1 GB of high quality samples, with three dynamics and four round-robin samples for each chromatically-sampled string--giving you a total of over 2,000 samples, powered by an extensive script. Being that slides are such an integral part of the SLIDE Lap Steel, we implemented several technologies to improve the playability and realism of the slides. First of all, all the slides use timbre-corrected bending, as opposed to conventional methods of pitch bending. These slides will also realistically re-excite the strings, lengthening the sustain. SLIDE Lap Steel not only gives you the ability to bend strings separately, but also allows you to set the bend range to conform to a specific key/scale. SLIDE Lap Steel includes five stereo cabinet impulses as well as spring reverb, tremolo, chorus, and much more. 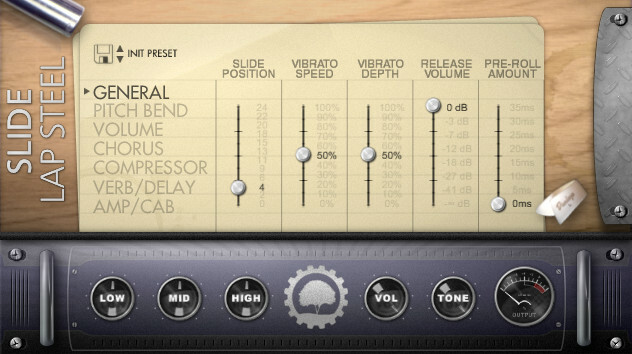 All the effects and performance settings can be stored in external preset files. 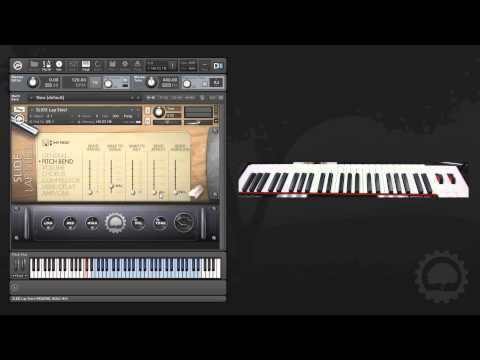 That means that you don't have to reload the entire library to audition different presets, and makes it easy to share presets with other Lap Steel Guitar users. This product requires a total of 1.34 GB of free disk space in order to download and install the sample library. The total size of the download is 671 MB, and after installed the library occupies 704 MB.